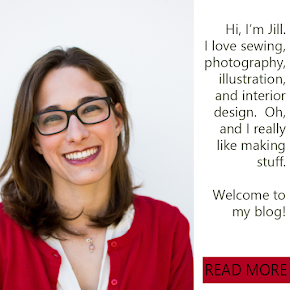 This post is part of a campaign with Shutterfly and LooksiSquare. All opinions are entirely my own. I'm excited to bring you this post today. Shutterfly is my "go to" for anything photo related, and has been for years. I've used them for birth announcements for my kids, photo books, and prints, and I've always loved the outcome...every.single.time. Perhaps you've used them too? Today I'm excited to show you Shutterfly's graduation announcements in addition to a graduation themed craft: photo blocks! Even though blocks are usually associated with young children, I love the idea of personalized photo blocks for the graduate. Need a centerpiece? 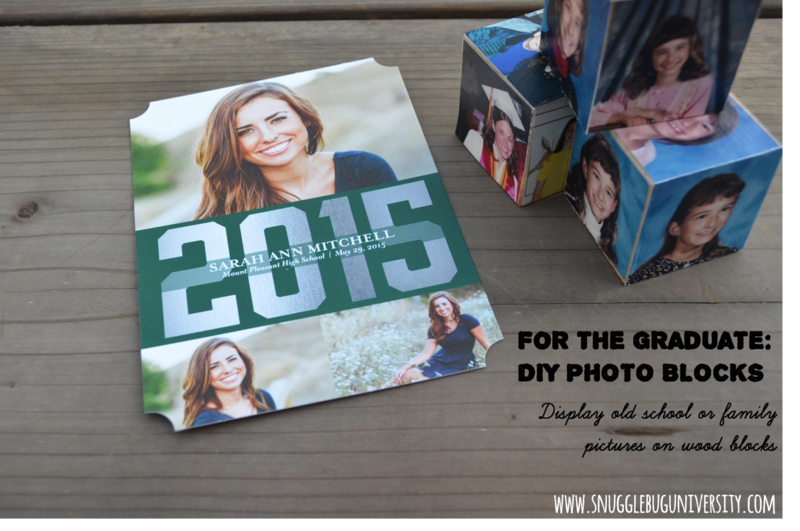 Fill the blocks with school pictures of your graduate over the years. They make a great gift for mom and dad too!! Need a gift for your graduate? 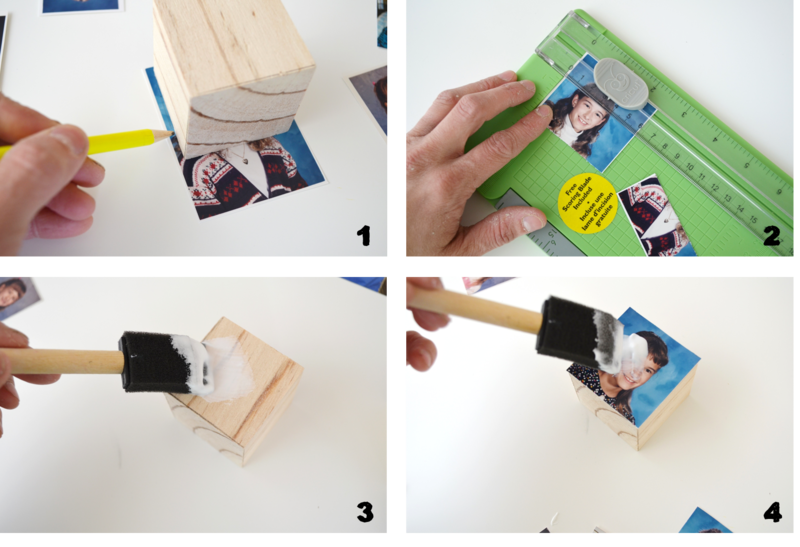 Adorn these photo blocks with pics of your graduate and his family and friends. I remember that I brought very little to the dorms when I went away to college, but pictures totally made the packing list. These blocks would be a great way to bring a little bit home to the graduate's new home away from home. Before we get crafting though let's talk a little bit about Shutterfly's graduation invitations and announcements. Shutterfly has some lovely options. They have foil stamped designs, lots of trim options (square, rounded, bracket, ticket & scallop), different formats (flat, ¾ fold, tri-fold), and several card sizes (6x8, 5x7, 4x8, 5x5, 4x5). Foil-Stamped Graduation Announcement (5x7 – Bracket trim), Foil-Stamped Graduation Invitations (5x7 – Rounded trim), and Graduation Announcement (5x7 – Ticket trim – Custom Color Palette). I love how Shutterfly has so many options to make your announcements unique. You can even import your grad's instagram pictures and personalize your announcement with school colors. Wow. Nothing like my high school graduation announcements, that's for sure! The back of card designs are such a nice touch too. Alright, now that you're in the graduation mood, let's pull out those old photos and get crafting! I found these wood blocks at Michaels, but I've also purchased similar wood blocks here. Start by tracing your block over your picture to mark where you'll need to cut (1). Then cut your picture to the right size (2). Put some Mod Podge on your block (3). 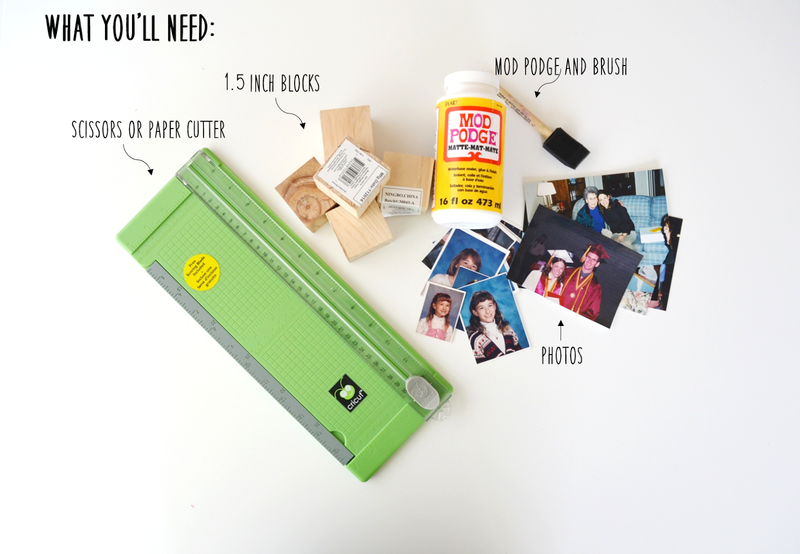 Put your picture down on top of the Mod Podge and brush over the top of the picture with a few layers of Mod Podge. When it's dry repeat with another block side and picture. Here they are all finished! Easy peasy and so much fun. And my kids loved looking at all those old pictures of me over the years. What do you think? Do you see photo blocks in your future? Thanks Shutterfly and Looksi Square for making this post possible!